Prost! 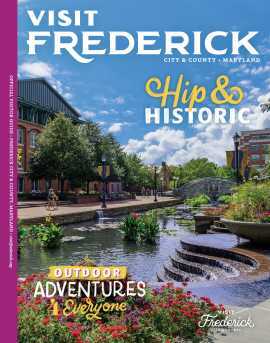 Frederick’s German roots run deep and Oktoberfest celebrations draw crowds for the authentic music and food! Enter a yodeling contest, sample authentic German beers and grab a brat with some kraut at these two Oktoberfest celebrations in Frederick. This festival descends annually on the Frederick Fairgrounds and offers over a dozen different types of beers, including Spaten Oktoberfest and several varieties from Frederick’s own Flying Dog Brewery. Come hungry because several food tents offer brats, strudel, pretzels and schnitzel. There is also a buffet of German specialties which can be paired with German wines. The main Festhall is alive with dancing and music. With children’s events and a sports tent, there is something for the whole family! Spearheaded by the Rotary Club of Carroll Creek, and the Rotary Club of Southern Frederick County, this annual event not only promotes cultural exchange, but it also serves as a fundraiser for local non-profit organizations. Experience Oktoberfest in one of Frederick’s oldest and most historic buildings. The grounds are transformed with a music tent featuring a band belting out all of your favorite German Oktoberfest songs. Strudel, sausages, pretzels and local beer is on tap at this annual event. Watch historic demonstrators and purchase hand-made products from many art and craft vendors.